Not content to rest on its laurels, Sprint has released its second 4G device, the Samsung Epic 4G. 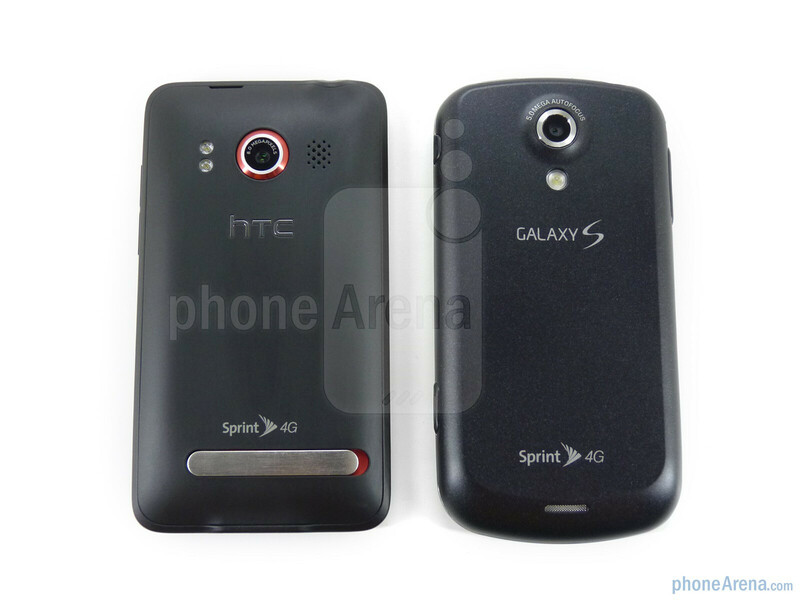 This follows the immensely popular HTC EVO 4G, which the carrier still cannot keep in stock more than three months after launch. Both next generation devices offer large displays, dual cameras, Android and several other high-end features. The most obvious difference between the two is the Epic's hardware keyboard versus the full touchscreen EVO, but what else separates the two? Read on to find out. 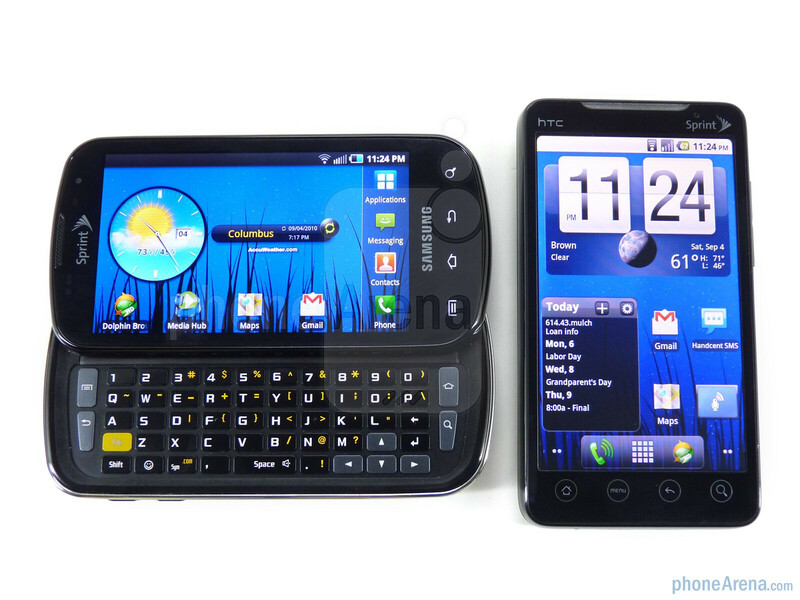 With its slide-out QWERTY keyboard the Samsung Epic 4G measures in at a few millimeters thicker than the HTC EVO, but is also a bit narrower which translate to a more comfortable feel in portrait mode. The skinnier EVO is more comfortable in the pocket and when held in landscape mode. 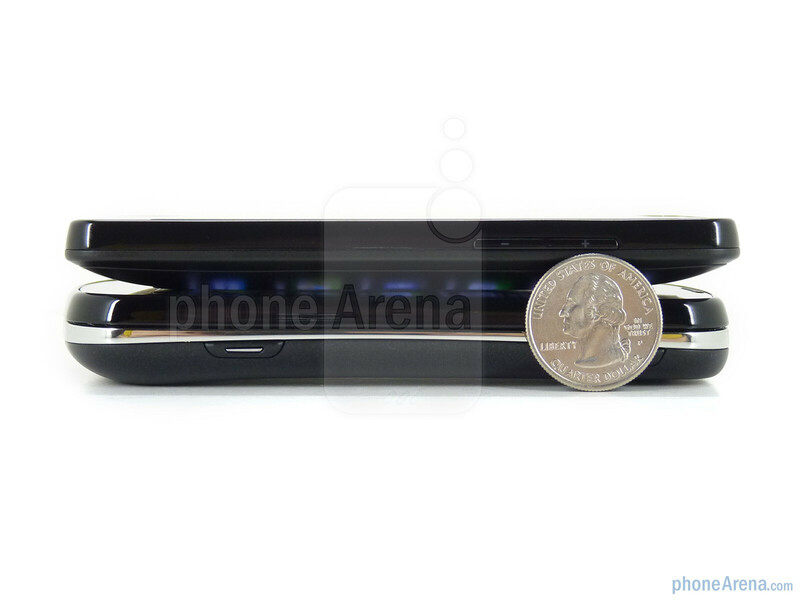 The size difference is much less than we expected though, and no dimension varies by more than 2mm. Both feature a large touchscreen; the EVO has a 4.3" TFT LCD while the Epic sports a smaller 4" Super AMOLED panel. The EVO has a very good screen, one of the best on the market, but the Super AMOLED displays on the Galaxy S phones are the standard right now. Colors are so much more vibrant and the blacks are much deeper than on any display we've seen before. Watching the same video side by side, the EVO's TFT display is obviously inferior. HTC gets the edge on build quality, but that is not to say that the Samsung is cheap. The EVO measures in at 6oz- quite a hefty phone- but as a larger device the weight is well distributed. It feels quite comfortable and the weight gives the HTC EVO 4G a premium feel. The Samsung Epic is 5.46oz, and while on paper that may not seem significantly different than the EVO it is immediately apparent when you hold the two devices. The Epic 4G feels light and airy; the EVO 4G is noticeably weighted like a good shift knob. With no moving parts the EVO 4G feels a bit more solid, but the spring-loaded slider on the Samsung Epic is quite nice. It offers a good amount of initial resistance but then snaps open or closed. We like the kickstand, we’ll be honest. It may seem like a little touch, and it is, but it just makes things easier. We found ourselves missing it on the Epic 4G more than one would think. There is an optional media dock available for the Epic which puts it at the proper viewing angle, but the kickstand on the EVO 4G is so much more convenient. Overall we prefer the feel and materials HTC uses on the EVO. Despite a Gorilla Glass screen on the Epic 4G the phone feels a bit plasticy all around whereas the EVO 4G just feels solid. This is our personal preference however, and not an indictment of the Epic 4G. Both are very well constructed phones, and keep in mind that we are comparing a Ferrari and an Aston Martin, not a Ferrari and a Ford. The Epic is nice but I'll stick to a company that has made amazing smartphones for some time now, HTC ftw! I don't like listening to this guys reviews. He breathes SO hard into the mic after every word he says. Its annoying. I was looking forward to watching this comparison but i seriously can't get through a full minute with him breathing like that. It might not be so bad if I didn't use headphones to hear but i do which makes his voice loud and clear. Just some advice... stop giving a speech and just talk normal. Every single one of your reviews are like this. I'm sure im not the only one to mention this so listen to your readers and at least attempt to make a move for the better. You don't have to write a speech to sound professional. I agree. A conversational, comfortable tone would be great. Instead we get a poorly rehearsed, slightly faltering speech. The breathing is minuscule, perhaps the aftereffect of a poorly placed mic. The real issue is the momentary, yet abrupt, pauses. They instill a burning impatience and are really, really frustrating. I made it to 50 seconds. Additionally, I'm left with the image of an overweight man, maybe with asthma? I don't mean to be rude, but it seems that one would be able to speak more than 7 or 8 words without taking a lung throttling breath. And yes, I'm retracting. I hit play again and three breaths later I was on board with Sprint lovers hyperbole "SO hard." who cares. you remind me of grade school girls. its free information and a great comparison. it is indepth and everything. HTC is a better phone. period. samsung phones are complete JUNK. they have never made a good one. ever. 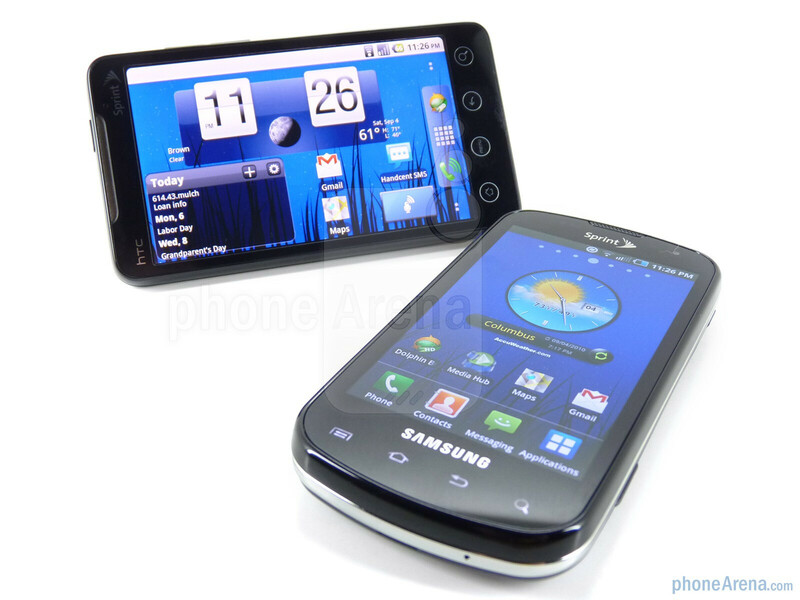 the galaxy S series is pointing in the tight direction.. but they are better than any blackberry. I don't know if it's just me, but I have the Epic 4g and I'm extremely disappointed with the battery life. Every day I've owned it so far, it dies within 5 hours if I'm using it, but without even touching it, on standby, it lasts for only 8 hours. I've been forced to shut the phone off to save my battery, something I haven't had to do since I had my first flip phone. I've googled this as well and seen many other people run into the same problem as I have. I've used their task manager to kill apps I don't use, but even so, these apps worked perfectly fine running simultaneously on my Nexus One and didn't kill my battery life. did u try turning down the brightness of the screen? i too am seeing this same problem and I have turned off the brightness of the screen and continually making sure I shut down apps if I'm not using them. Kind of annoying but hell I just switched from wm and this is way better. If I wasn't still upset with my past samsung phones (including "Blade") I probably would be looking on the Epic more positively, even tho Samsung phones in my opinion were still better options that whatever else was available. But then after those samsung phones I switched to a HTC Mogul 6800 and that was pretty much it for me and Samsung and I am now a proud HTC loyalist. Great quality in most all of their phones, slick design and for however long I've owned them they didn't one day just decide to go crazy on me and start malfunctioning. Both the phones are incredible, but I would have to go with the EVO just because i LOVE SENSE!! I can't really say its a fair comparison of functionality until they both are running FROYO. 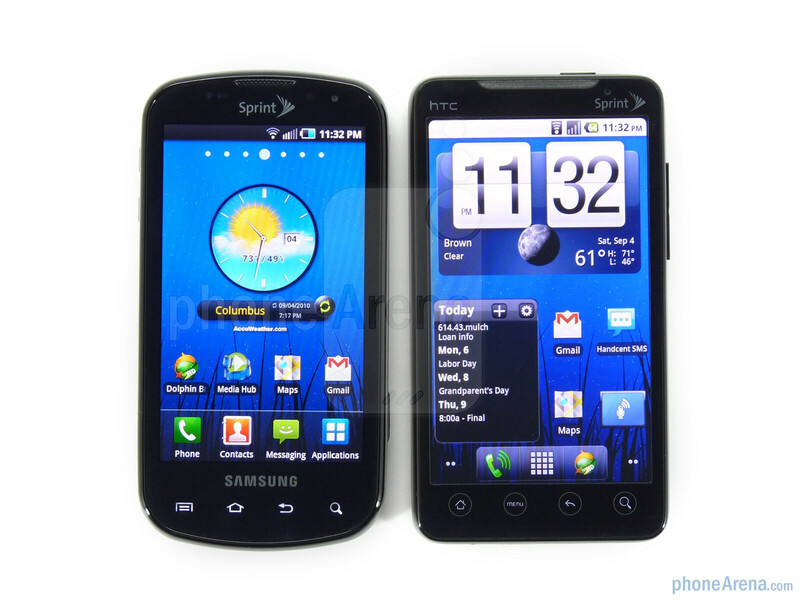 Then we can have a better say on which is truly better of the 2 phones which are both phenomenal in my opinion. They should have waited before doing this comparison. and then, you had WIFI on, think if you DIDNT have it on. actually the Ford gt 40 beat Ferrari 4 years in a row in the Lemans race in Italy back in the 60's, and aston martin is owned by Ford motor company. a better analogy would have been "Not a Ferrari and a Daewoo"
katerina, if you need a Keyboard (physical), then the Epic is your solely choice.